After 22 years at the helm, Arsene Wenger is finally stepping down as manager of Premier League side, Arsenal. The Frenchman, 68, will quit at the end of the season halfway through a new two year contract he signed only last summer. Wenger first took charge of Arsenal in 1996 as a relative unknown after being hired while coaching in the Japanese soccer league. 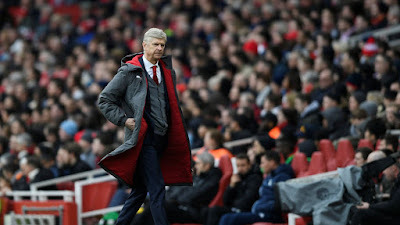 But his appointment had an immediate impact as Arsenal won seven major trophies in the first decade in charge—including a historic 2003/2004 when Arsenal went unbeaten to win the league. The more recent years of his reign have been mired by a lack of similar success though. With Arsenal under significant financial restraint while building a new home stadium, the club struggled to win major trophies in the late 2000s. Wenger has borne much of fans’ ire for the fallow years and has faced increasingly loud #WengerOut protests calling for his sack. In the last decade, Arsenal have not won the title and have finished second only once. Wenger set the record for the most matches managed in the Premier League last December when Arsenal took on West Bromwich Albion. Wenger is the longest-serving manager of the English Premier League era which started in 1992. Regardless of recent struggles, Wenger’s legacy is secure as his impact on English soccer has been widely acknowledged. He pioneered innovative training methods and revolutionized the diet and nutrition culture at the club, a move which quickly spread around top clubs in the league. The style of his Arsenal teams—free-flowing, quick passing and attacking soccer—soon became distinct in a league known,at the time, more for brawn than technique. His preference for grooming young talents over splashing out on expensive stars has also been prominent in his years at the club. Wenger could yet leave to loud ovation as Arsenal are currently in the semi-finals of the UEFA Europa League and still have a chance to win their first ever European trophy. Arsenal are yet to announce a replacement for Wenger but betting odds suggest that Joachim Low, the World Cup-winning manager of the German national soccer team, and Patrick Vieira, Arsenal’s former captain and current manager of New York City FC in Major League Soccer, are the front-runners for the job.